October is autumn in China, and locals call it "golden October" because of the good weather conditions. The temperature drops to a more comfortable level for most travelers with cool/mild days and nights. Read on to learn more about China’s weather in October and take advantage of our useful travel tips. Tourism: The first week of October will be crowded due to China&apos;s National Day holiday. In October, most parts of China are sunny and getting cooler. There will still be moderate rain levels in the south and east, however, lowering the temperature in autumn. 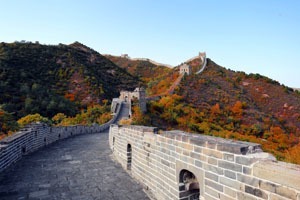 October is the most popular months for people traveling to China. Most people enjoy the sunny and cool weather. Autumnal colors begin to appear across the country and are generally at their best at the end of the month. It is important to know that the first week of October is China&apos;s National Day holiday, also known as "Golden Week". The whole country has a 7-day holiday, which means there will be a sea of tourists in popular cities. Transportation, hotels, and attractions are usually fully-booked. Because of this, you are recommended to confirm your plans in advance — at least 1 month beforehand — if your departure time is during the holiday. Alternatively, you can just contact our experienced travel advisors to help you arrange your China tour during Golden Week. See more on avoiding Golden Week crowds. Don&apos;t let the planning stress you out Tell us your travel ideas and we will work for you to create your very own unique China trip. Cities in North China are quite chilly in October and the temperature can be below 10°C at night. The summer rains are over so it is usually dry but the cold air will bring light rain. Take Beijing as an example — the average temperature is 8–19°C (46–66°F) with 7 days of light rain: only 23 mm (1") in total. Beijing gets crisp, cool, and clear weather optimally, and the locals love to see the scenery and exercise outdoors. Air pollution is moderate during this month. Clothing: Generally, a base layer with a light jacket or fleece is a good option for the daytime, with a coat at the ready for the evening. Hiking on the Great Wall in Beijing is the most popular activity in North China. Yellow and red leaves decorate the Great Wall to make it even more beautiful than usual. The clear and cool weather make it a great time to extend your Xi&apos;an tour to the places around Xi&apos;an, or further west (see below). East China’s cities enjoy pleasant autumnal weather on most days. It is often still warm and there is much less rainfall than in August. Take Shanghai as an example — the average temperature is 15–23°C (59–73°F) and there are 13 days with rain (57 mm or 2" total). The exception is if a tropical storm or typhoon arrives. 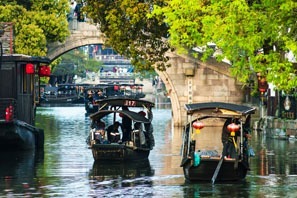 There is less rainfall than in summer, so you can do more outdoor activities in and around Shanghai. The yellow gingko trees along the roads make the city of Shanghai appear even more beautiful. 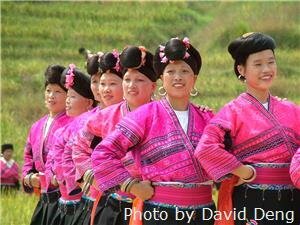 The drier and cooler weather is good for touring and hiking in the legend-rich Yellow Mountains and pretty Hong Village. 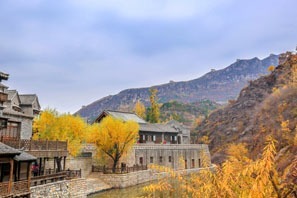 This area of China, around the Yangtze River, is mild for most of October. Temperatures during the day are warm or cool, and it rains for about one in three days. 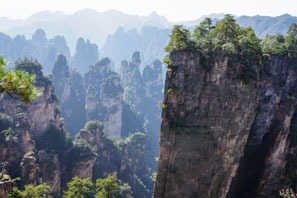 Zhangjiajie is a southerly example — the average temperature is 15–22°C (59–72°F) and there are 14 rainy days (100 mm, 4"). The mountains in Zhangjiajie feel cooler, but it is good weather for a strenuous hike. Clothing: Take both shorts and t-shirts as well as long-sleeved/-legged clothes, and a light coat for the cool mornings and evenings. Take some rain gear as well. 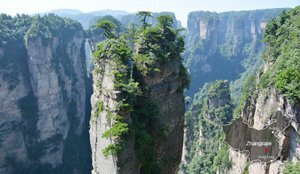 September and October are the best months for a hike in Zhangjiajie National Forest Park. 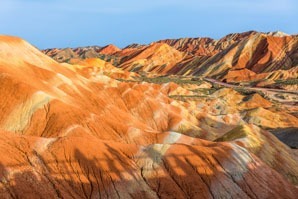 The mountains are decorated with many colors so they are incredibly beautiful. In Chengdu, you will have the chance to see some baby pandas as they are usually born in late summer. Cities in South China still have fairly hot weather in early October. It only rains half as much as it does during the summer. It can still be warm during the day and it is cool at night. 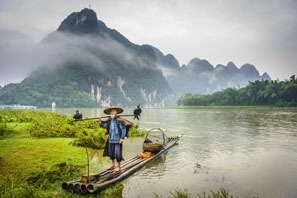 Guilin is a northerly example — the average temperature is 19–27°C (66–81°F) and there are 4 rainy days (85 mm, 3"). This makes for better touring, hiking, and biking weather. Hong Kong eventually gets cooler and drier fall weather by the end of October. However, sometimes there are typhoons and it rains heavily. It is warm during the day and sometimes it is still at night. October is still a good time for a Li River cruise in Guilin due to the cooler weather and clear sky. The water level is still high enough for you to enjoy the essence of the Li River. It’s also a great time to ride a bike in Yangshuo’s countryside. The temperature falls significantly and it gets cold at night. By the end of the month, it begins to freeze. The mountains grow cold and begin to be covered in snow. It is cold or warm depending on the altitude. Rainfall is very low, except in the mountains. In Lhasa (Tibet) the temperature averages 5–19°C (41–66°F) and rainfall is light: 8 mm (½") in 4 days. Cooler temperatures mean fall is a good time to explore the Silk Road. Xi&apos;an is the eastern terminus of the ancient desert trade route through west China. And then travel along the Silk Road to camels in dessert and Buddha caves at Mogao Grottoes — a journey of history, culture, and contrasts. One of the best times to travel to Tibet is in October, and you can more confidently extend your tour to Everest Base Camp for a top-of-the-world view in this drier month. 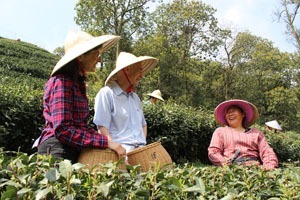 China Highlights customers picking tea leaves with local people in Hangzhou. 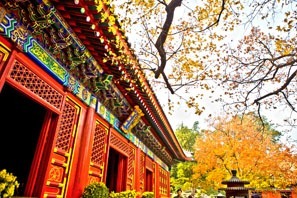 October is a golden season to visit China because of the comfortable weather in most places. Planning a trip to China in October? Let us help you. We are in China, and only do China. We have traveled throughout the country in fall, and know which places have the best scenery, which places have the best weather, and which places you should avoid because of tourist crowds. 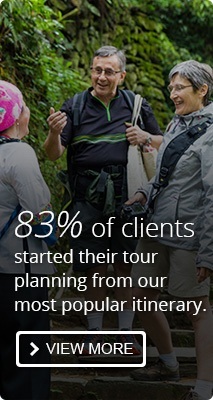 Contact us for an expertly personalized October tour. They can be customized or combined with other top China itineraries.